Be Inspired. Be Unique. Be Yourself. OUR AWARD WINNING DESIGNERS ARE HERE TO PUT SOMETHING TOGETHER FOR YOU AND MAKE THIS AN EASY PROCESS. 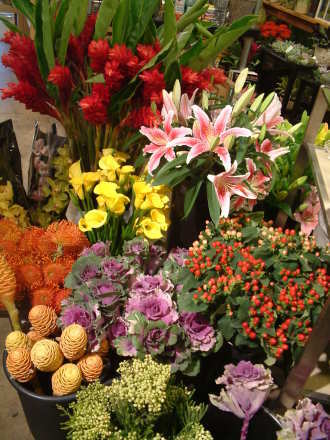 WE WILL USE SEASONAL FLOWERS! IF YOU HAVE SPECIFIC COLORS YOU WOULD LIKE JUST TELL US IN THE SPECIAL INSTRUCTIONS. WE ARE KNOWN FOR OUR DESIGNERS CHOICE WORK. JUST TRUST US! Please write your card message in the box.